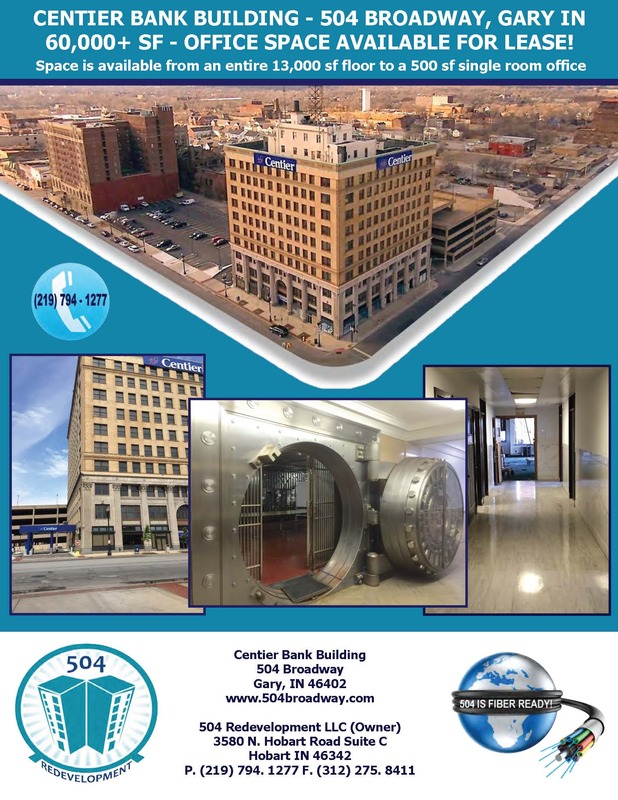 504 Redevelopment LLC is Co-Owner of the historic and iconic Centier Bank Building (named in 2015) located at the corner of 5th Avenue & Broadway in downtown Gary, IN. A Phase I redevelopment of the property included the razing of three long vacant adjoined properties; vacating of the south alley and utilities; construction of a new (3) lane bank drive-thru with canopy and a drive-up ATM; 100 car off street parking lot; tenant build-out of the new Centier Bank space; and other interior and exterior improvements. Phase I coupled with the demolition of the former Sheraton Hotel has greatly enhanced the landscape of downtown Gary and this trend continues as other downtown real estate development projects are being planned, funded and executed. 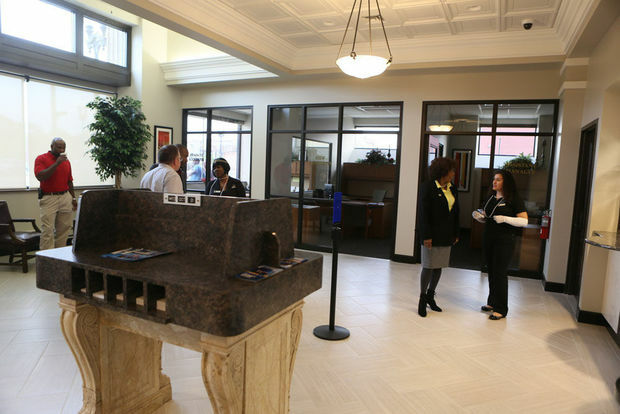 The 504 Broadway Property Management Office consist of a property manager; building superintendent; building and grounds; custodial maintenance and alteration staff; and a security team. Our property management team has a number of external local purchasing and services agreements for building materials, flooring, supplies; HVAC support, electrical support, elevator maintenance, plumbing, landscaping, parking lot maintenance, snow removal, pest control, uniforms, floor matting, glazing, IT cabling, and other services. Professionalism is expected of our Property Management team at all times from the showing of the space to a prospective tenant to the buildout, delivery and occupancy of the tenant. We value each tenant and serve all equally and fairly.